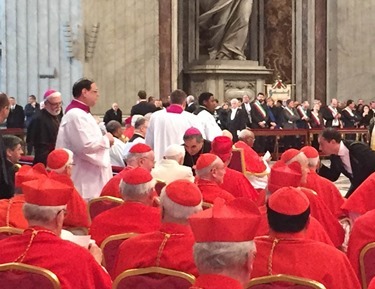 Last Saturday I had the great joy of being present as the Holy Father created 20 new cardinals from all over the world. 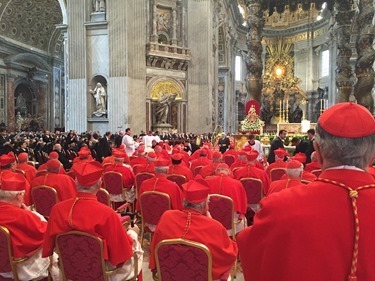 Though several were from what would traditionally be a cardinalatial see, such as the Patriarch of Lisbon, many of the new cardinals are from areas where there has never been a cardinal before. 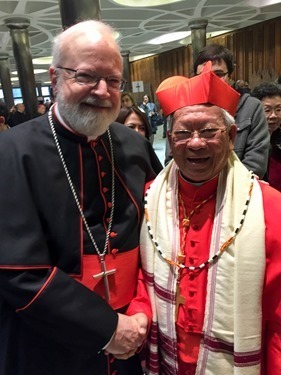 These appointments by the Holy Father are making the College of Cardinals much more international. 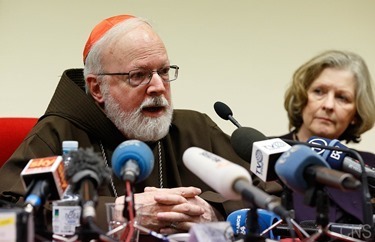 It also brings the presence of the Church, in a very special way, to some of these countries — when a cardinal is named, suddenly the Church has a higher profile in that area. 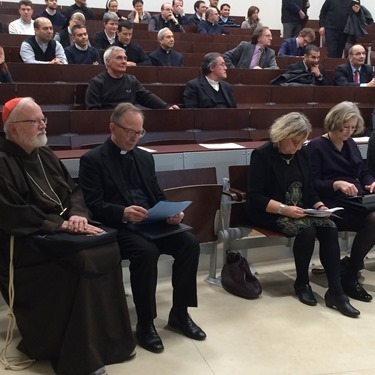 For example, it was interesting to see how even government officials from these countries wanted to be present for the consistory. 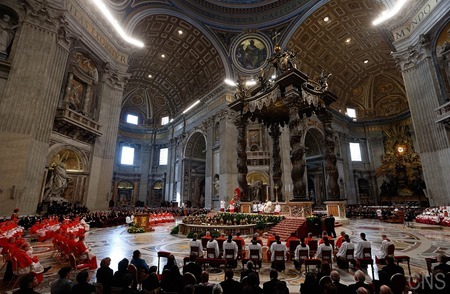 After the liturgical ceremony, in the afternoon they have the official visits during which people can go to congratulate the cardinals. 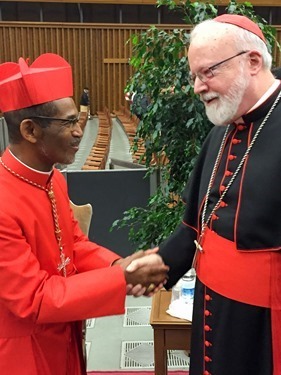 Most of the cardinals were in the Audience Hall, although a couple of them, such as Cardinal Langa of Mozambique, were in the Sala Regia. 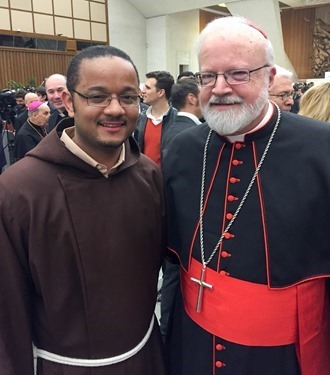 I made sure to take pictures with the new cardinals who have significant immigrant populations here in Massachusetts. 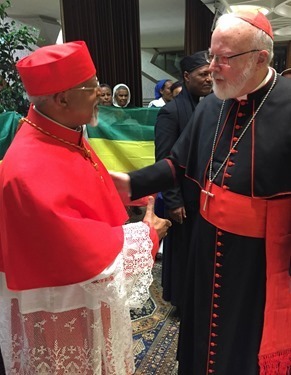 The Cardinal of Addis Ababa, Ethiopia, Cardinal Souraphiel. He has a priest working in the archdiocese who celebrates Mass for the Ge’eze Rite community at the Cathedral. 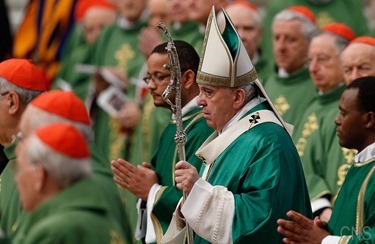 Sunday was the Mass with the Holy Father. 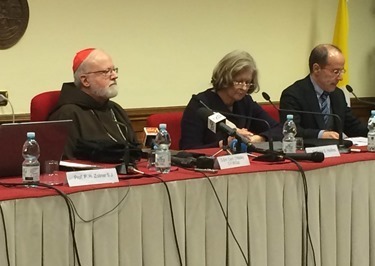 Monday I was part of a press conference at the Pontifical Gregorian University to celebrate the opening of the Center for Child Protection, which had been in Munich and is now being relocated to the Gregorian. 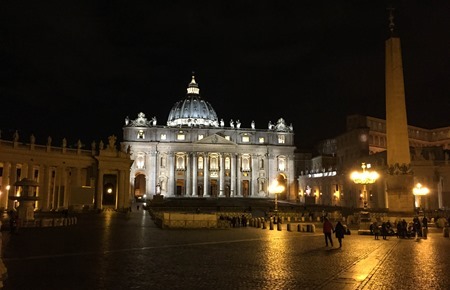 It will be able to train a number of people in Rome and they have already begun outreach to different countries – particularly mission countries. 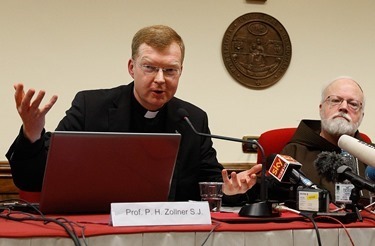 Father Zoellner, who heads up that center, is also a member of the Pontifical Commission for the Protection of Minors. 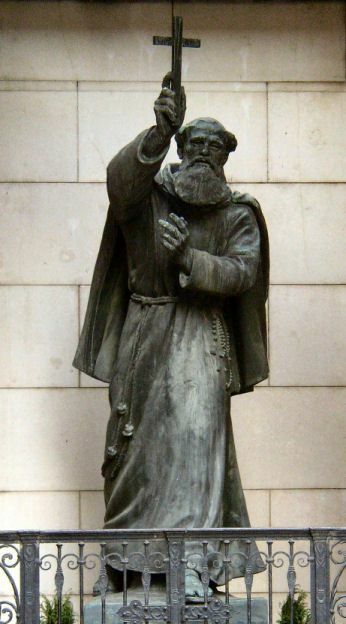 So, he asked me to be part of the press conference and also to give the keynote address at a public event and reception that took place later on at the Gregorian. 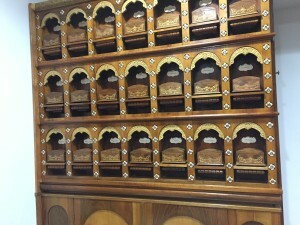 After the press conference I went to the Capuchin General Curia for lunch. 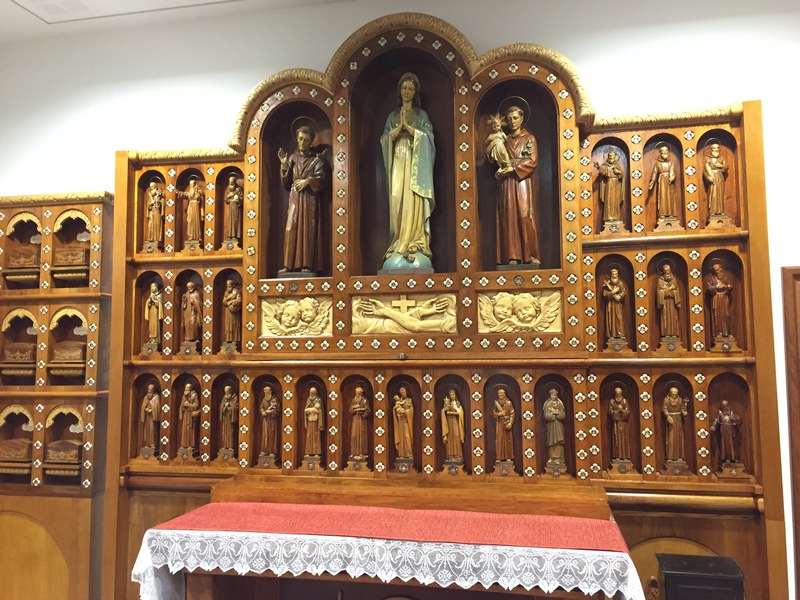 There I took these pictures of a recently restored sacristy that had relics and images of all the capuchin saints and blessed. 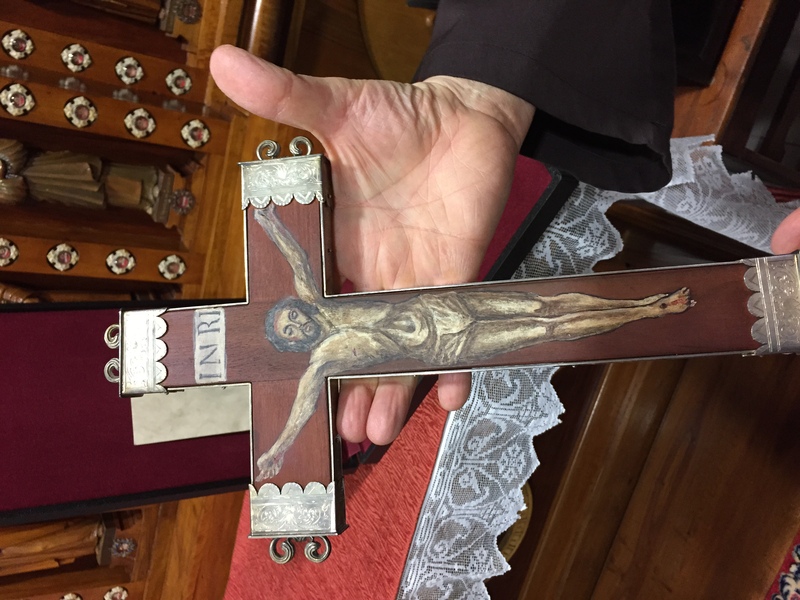 I also took a picture of a replica of the cross of Blessed Marco D’Aviano, the capuchin friar who brandished the crucifix against the Ottomans in the Battle of Vienna in 1683. He is usually pictured with that cross. 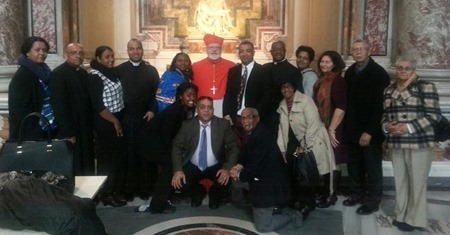 I spent Tuesday traveling back to the states in time to be in the archdiocese for Ash Wednesday. 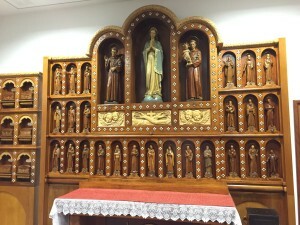 As I always like to do, I celebrated the noon Mass at the Pastoral Center. 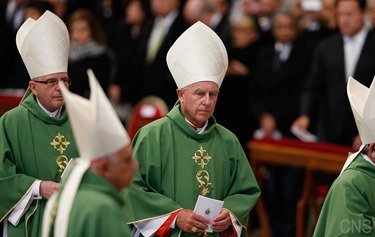 As I said in my homily, St. Paul says that we are to be ambassadors of Christ and that God is going to speak through us. So, we must be aware that our mission is to be that ambassador of Christ – to live his Gospel in such a way that we will attract other people who will want to live a life of discipleship because they see something in our lives that they also want to have. 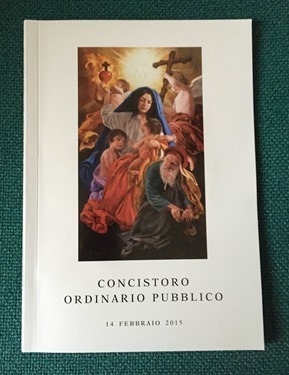 As the Holy Father has said so often, people will be converted, not by proselytism, but through attraction. 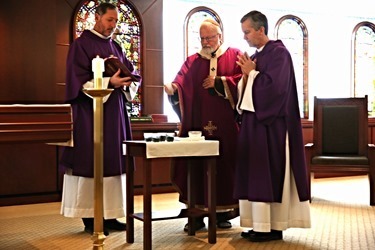 Lent is a very important opportunity for us to renew our own baptismal life. 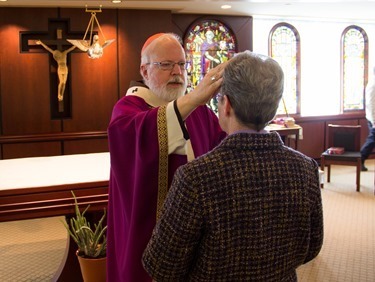 It is a baptismal retreat, as we join in solidarity with all of those who are preparing to be received into the Church on Holy Saturday and as we prepare to renew our own baptismal promises. 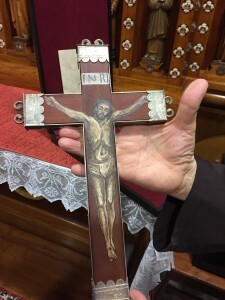 So, we live this baptismal retreat of Lent trying to have greater discipline, but also to grow in our friendship with the Lord and our commitment to live our mission to be ambassadors of Christ and evangelizers in today’s world. 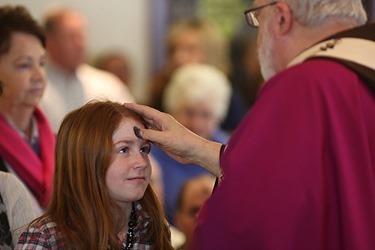 This Lent is a very important moment in the life of the Church. 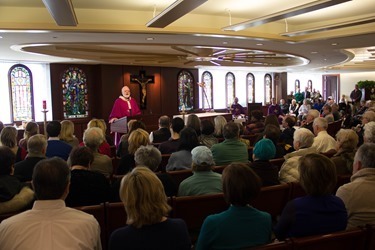 The Mass at the Pastoral Center was standing room only. And I know that, despite the bad weather, horrible driving and difficult parking, the same was true in many of our churches and chapels. 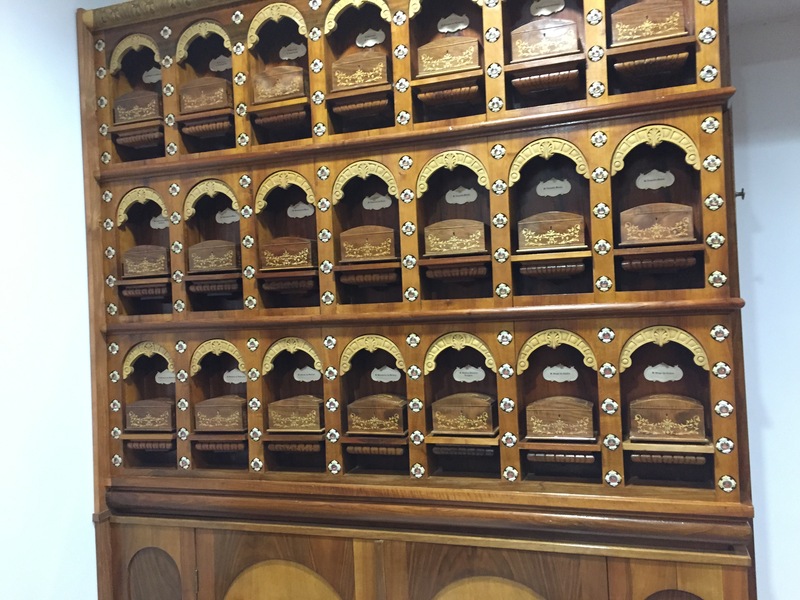 Even my sister, who was with us in Rome, was traveling back to Mexico and she called me to say how happy she was that she had been able to receive the ashes at the Atlanta airport Chapel! We are a church of new and authentic beginnings. Give thanks to the Lord for he is good.